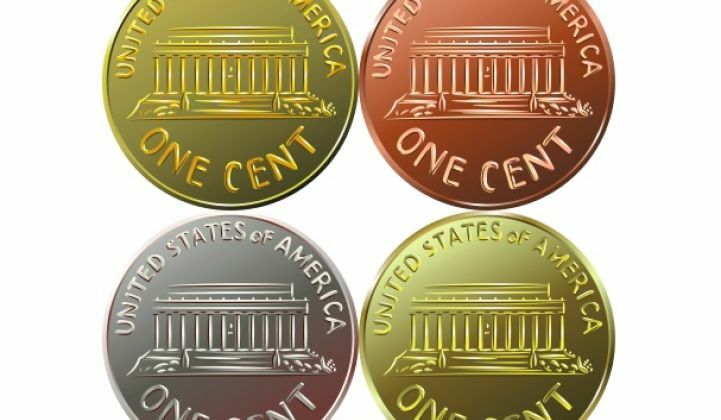 Palo Alto, California's municipal utility already has low electricity prices -- local recreation center Oshman Family JCC reported paying about 9 cents per kilowatt-hour at certain rate tiers. 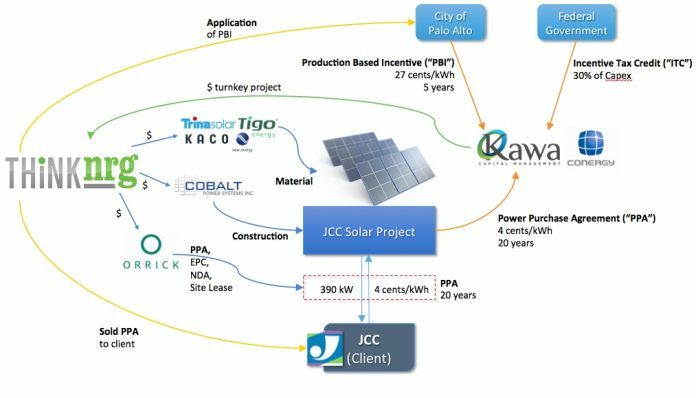 But THiNKnrg, an energy project developer, was able to provide the center with a 50 percent discount and close a deal with a twenty-year solar PPA price at 4 cents per kilowatt-hour. "This is one of the more innovative deals we have done," said Zach Rubin, CEO of THiNKnrg. The PPA takes advantage of the usual 30 percent investment tax credit, plus a generous five-year, 29-cent-per-kilowatt-hour performance-based incentive (PBI).